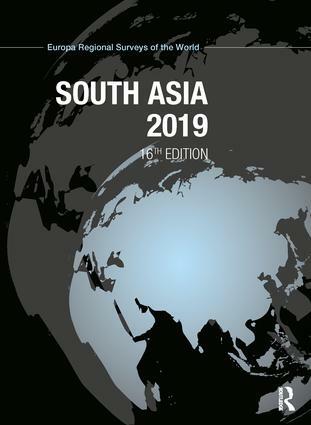 Exhaustively researched and updated, South Asia 2019 is an in-depth library of information on the countries and territories of this vast world region. Essays by specialists examine issues of regional importance. - a comprehensive directory providing contact details and other useful information for the most significant political and commercial institutions. In addition, there are separate sections covering each of the states and territories of India. - bibliographies of relevant books and periodicals. - biographical profiles of almost 300 prominent individuals in the region.